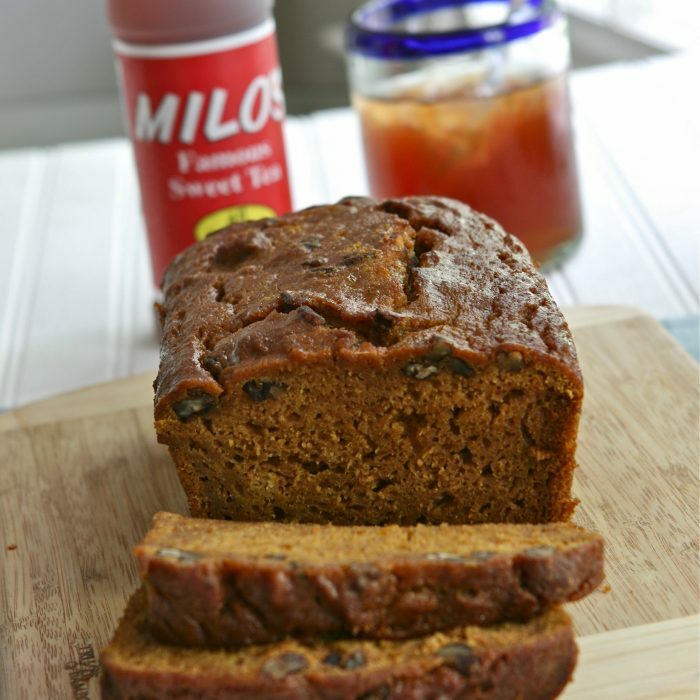 Milo’s Sweet Pumpkin Bread - Milo's Tea Company, Inc. In a large small bowl, combine the flour, sugar, baking soda, cinnamon, salt, baking powder, and nutmeg. 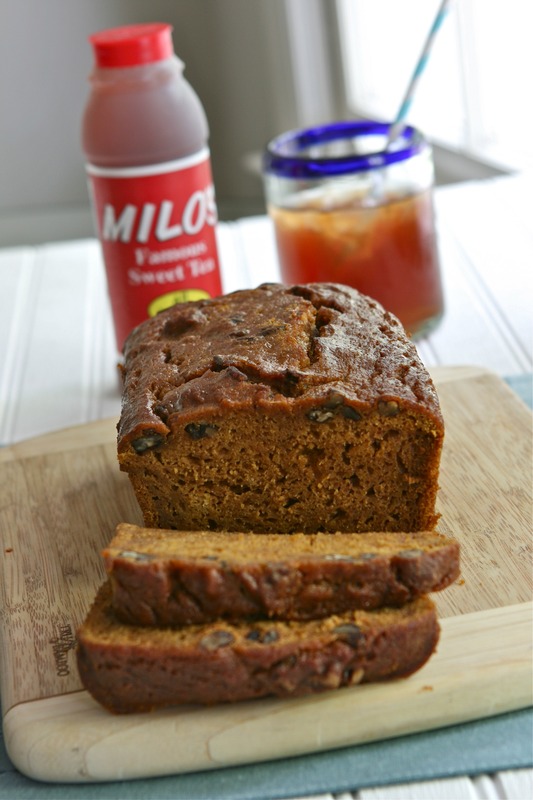 In a small bowl, whisk the eggs, pumpkin, and Milo's Famous Sweet Tea. Stir into dry ingredients just until moistened. Fold in nuts, if desired. Pour into a greased 9-inch x 5-inch loaf pan. Bake at 350° for 55 or 60 minutes or until a toothpick inserted in the center comes out clean. Cool in pan for 10 minutes before removing to a wire rack.